Orbital ATK brought rocket smoke and fire, along with a lot of engineering and science to the Chandler Symphony Orchestra FanFest 2017 on December 9. 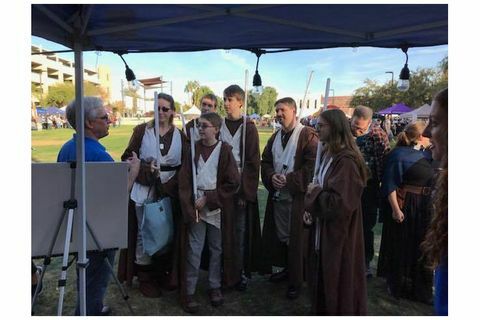 The free community event tied the excitement of the upcoming Star Wars movie with a focus on Science, Technology, Engineering, Arts and Math (STEAM) education. 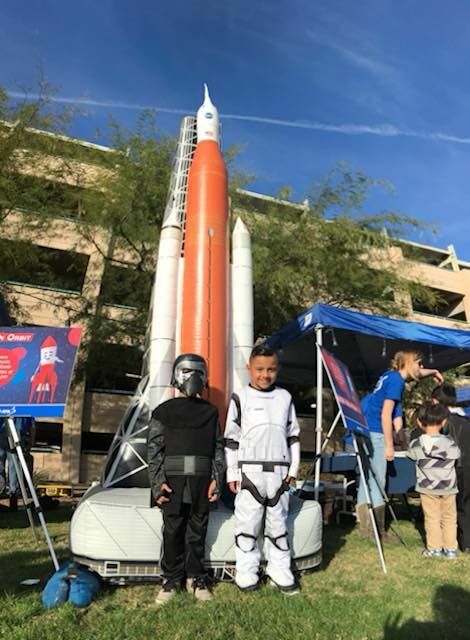 Young Jedi feel the force and enjoy learning about rocket science at FanFest. 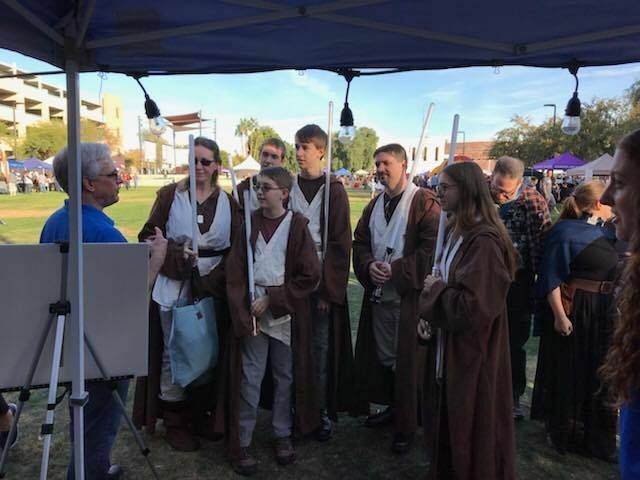 Thousands of Jedi attended FanFest to sharpen their training, hear from an astronaut, listen to the orchestra and learn a little more about rocket science. More than 80 Orbital ATK employees showcased their knowledge at 22 hands-on rocket science exhibits. Each exhibit highlighted science and technology that rocket scientists work with every day. 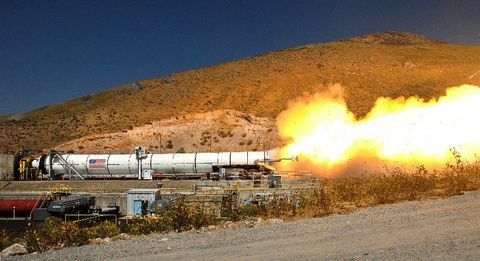 "The intent of each exhibit is to teach the kids the basic building blocks of rocket science," said Esteen Bottlinger, Director, Mechanical Engineering, Orbital ATK Launch Vehicles Division. "The team of volunteers has developed exhibits which teach the kids about physics, chemical reactions, orbital mechanics and many other concepts by making it a fun interactive experience. 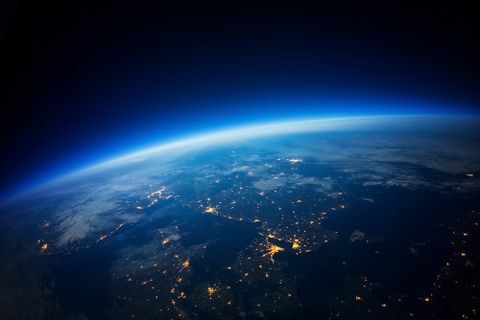 We are hoping to inspire the next generation to develop a passion for science and pursue a career in rocket science!" 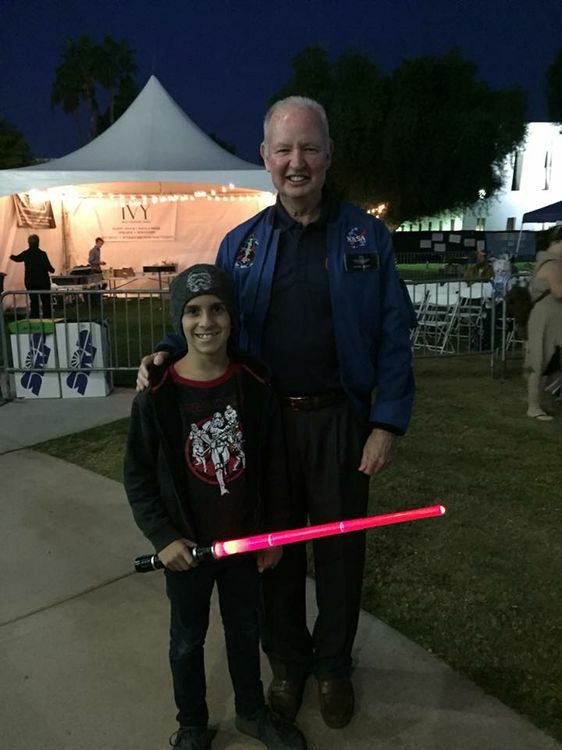 Four-time shuttle astronaut Brian Duffy enjoys meeting with the young attendees. Brian Duffy, retired four-time shuttle astronaut, made a special guest appearance during the event and spoke to the crowd about his time in space. 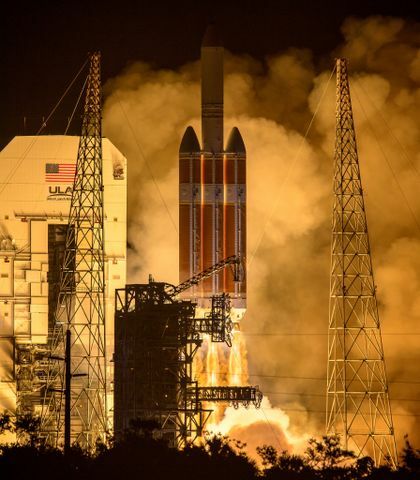 He also emphasized the new NASA Space Launch System and Orion spacecraft, which is slated to take crews to the Moon and Mars. "We are building SLS and Orion today to open the heavens to further exploration and discovery," said Duffy. "This launch system is the safest system we have ever built and it will be taking the younger generation to Mars." When asked if Duffy would go to Mars, he responded, "In a heartbeat!" Star Wars fans stand next to a replica of NASA's Space Launch System. During the event, the Orbital ATK team conducted nine static fires and 15 launches of a 1/20th scale model of their Antares rocket. Each time, children from the audience volunteered to install the motors and serve as the launch conductor – pushing the red button at T-0. "I want to thank all of our Orbital ATK volunteers for supporting this event," said Rich Straka, General Manager Launch Vehicles Division. "I have no doubt you have inspired at least one Jedi to pursue her/his passion in rocket science."